A UNITED VIEW ON FOOTBALL: EPPP - If it ain't broke don't break it! The previous system for determining compensation for players was reviewed with the Football League, along with the restrictions on player recruitment. This now gives clubs with higher graded academies free reign on other clubs' young talent and compensation schemes with much reduced, fixed fees replaced tribunals; meaning that those clubs losing players were likely to be much worse off. "A brazen attempt by the Premier League's wealthy elite to cherry pick the best youngsters from the Football League clubs." “The way it is for us in the short term isn’t working. And I’m not convinced it’ll work medium term. The way it’s structured these lads are going to go to the big clubs - that’s the seduction. Why are we spending £2.5 million (on infrastructure improvements and a similar amount each year in running costs) to be another club’s academy?" "We’ve invested in the infrastructure and we’ll see what happens over the next year. But from what we’re seeing so far it’s very disappointing". “We’ve brought in a whole load of staff, all these facilities and then a club can come along with £200k and say ‘here you go, thank you very much". Free movement amongst Category 1 clubs with a derisory compensation scheme, progressively getting worse the lower down the grading scale. Where is the benefit, for anyone outside the powerful ten or so teams, free of the threat of relegation, the powerhouses of the Premier League? Some clubs have given up on their academies all together - Wycombe and Yeovil Town being two of the higher profile examples. Others have weighed up a decision with a significant number of pros and cons. A decision regarding which category to apply for was not a simple task. Part of the process was to re-categorise Academies from one to four; one being the highest standard. Now, one year on, clubs have found out the results of the independent audit programme which saw Double Pass, a Belgian company, assess all academies against 10 Key Performance Indicators that assessed how each club scored against the criteria for their chosen grade. Pleasingly United's Academy has officially been categorised by the Professional Game Board (PGB) as a Category Two Academy under the new youth development system. A positive news story on the face of it. 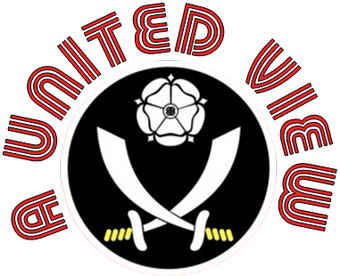 Despite the success of the Blades' academy down the years the club admitted that it "had some work to do" to improve and meet the necessary criteria of a Category Two Academy. This involved investing heavily in coaching staff across all age groups. The benefits of this investment are clear; guaranteeing a prestigious fixtures programme against the best teams in the area, added financial protection against losing players to predatory clubs and a seal of approval from an independent organisation that says the club delivers a high quality programme. That could be the key to attracting the right players in an increasingly competitive marketplace. "The auditors gave us special praise for our player productivity over the years. The Premier League's scoring system sees us ranked as the eighth best producer of talent in the last three years." Consistently in the Top 20 academies, eighth best producer of talent, it is hardly broke, so why fix it? Or in this case, break it. With the success that United has had, investing heavily in youth development, producing two full England internationals and numerous age group internationals in that time, it seems a ridiculous scenario that they have chosen not to apply for Category 1 status. Whilst I don't disagree with the need to improve, surely that should be as much about raising standards of the many academies not the few. "Category One does not fit with the strategy of the club. Chasing Category One status would have been to massage our own ego rather than a common sense decision……Many of the benefits of a higher category do not fit with what we are trying to achieve, for example it would have allowed us to scout nationally from the age of 12 when what we really want is for our Academy to be developers of the best local players as a priority." It is easy to read between the lines and see a financial cost as one of the major factors. A £2.3m annual budget is a considerable amount for a club outside of the Premier League without a benefactor, TV money/parachute payments and on annual turnover of less than £10m. Category 1 status is about throwing money and resources at a perceived problem and we are all aware of examples where that has not worked well in football. Category 1 is not about player development or playing first team football at the highest level, it is certainly not about value for money. It is about creating a barrier to entry, for those clubs outside of the elite. Regardless of the initiative, investment and credibility previously demonstrated in player development, no cash and you are not in. Club representatives have spoken of the need to recruit, develop and nurture the best young talent in the region, with the ultimate aim of continuing to graduate our youngsters into our first-team squad at Bramall Lane in the years ahead. In reality we all know that will subsequently mean player sales, to allow further investment in young talent. That is, unless a Premier league return can be achieved. Our reputation for player development will hold the club in good stead and the salutary tale of Jordan Slew, whose career has stalled after leaving United after making just 11 first team appearances, may encourage a longer term commitment from academy graduates. Staying at Bramall Lane has had clear longer term benefits for Matt Lowton. When, not if, player such as George Long and Harry Maguire move on they will have tremendous playing experience under their belts, that may not have been gained with premature moves to a higher level. Behind them their fellow graduates, such as Elliott Whitehouse and Callum McFadzean, will be forging similar careers and the next generation will be establishing themselves - see (England U17 goalkeeper) George Willis and (Italy Under 18 striker - from Chesterfield) Diego De Girolamo amongst others. Another key factor could be the capture of the aforementioned Cox, who oversaw the graduation to first team football of 52 players in 12 years at Watford. He clearly has a keen eye. His arrival at Bramall Lane was greeted with congratulatory tweets from Watford fans I know, saying what a great capture he will be. Let's hope so. United might survive the EPPP era better than most. Credit for that must go to Kevin McCabe who invested heavily in tremendous facilities at Shirecliffe at a time when few other clubs were following suit. This has given United a significant base to launch the careers of several promising starlets over the last few years. 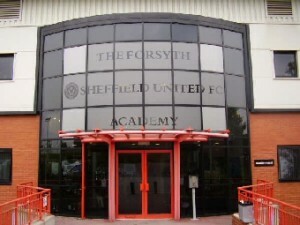 Encouraging the next batch to see Bramall Lane as a place to develop and grow as a player will be the key. Promotion to the Championship will also help. But let's not pretend EPPP that this is helping arrest the slide of age group national teams in international competition so clearly demonstrated this summer. Let's not pretend that this is to benefit the national team - since when do the Premier League clubs care about that? This is about clubs stockpiling players that will no doubt end up back at their original clubs on loan, or on the scrapheap at 19 and 20; when chances are so few and far between and their development is stunted through a lack of first team football. In some ways that may work in United's favour and also that of other Championship and League One clubs. If that happens, the best will still move to Premier League clubs and hopefully move on to international recognition. The wiser members of the remaining group will maybe resist the lure of sitting in the stands and develop their careers in surroundings and with coaches who have developed so many talented players to date.